This will be a wonderful 10 days in June. Join in the competitions! 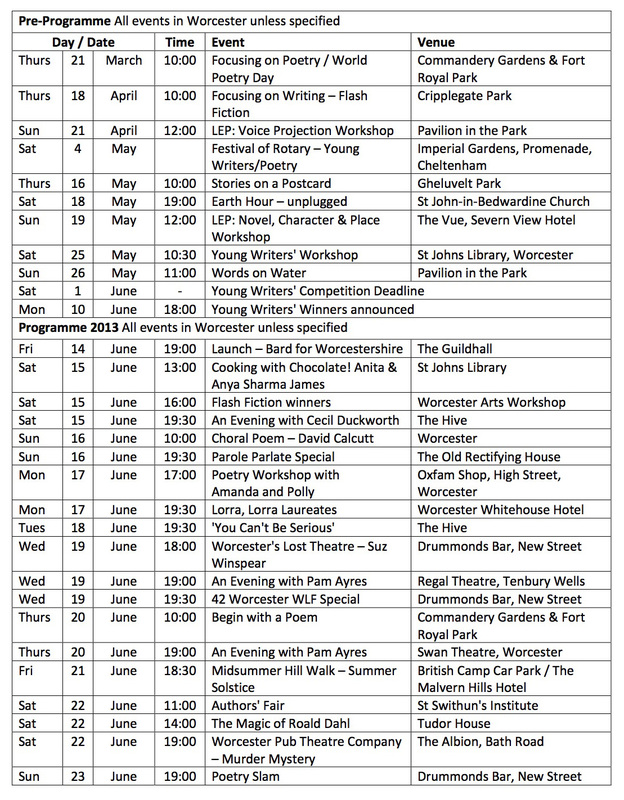 Categories: Writings & Witterings | Tags: Arts and Entertainment, Literature, Worcestershire Literary Festival 2013 | Permalink.